One of the most highly anticipated smartphone this year is from LG & here we have an actual image of the device the LG G6, last year LG tried something new with the LG G5 and claimed to be a modular device which everyone knew how it went & then Motorola came in with all its blazing guns with their Moto Z & moto-mods concept & blew everyone away it is a solid concept but expensive while hitting the last nail on LG G5, but this time around as we see in the picture LG has done with Modular phones & Left it Motorola and this time we have quite a looker here !!! 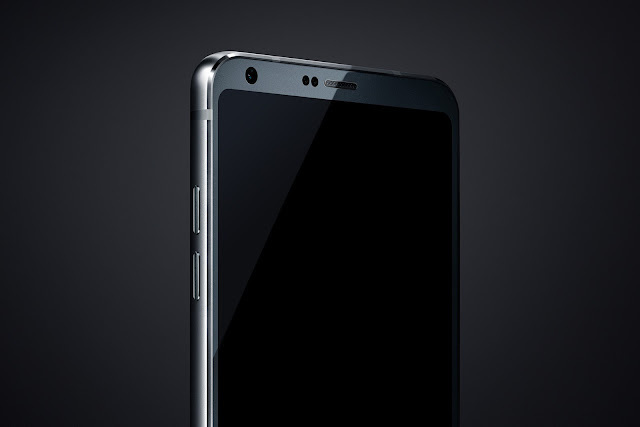 There seems to be a new trend going to be started about less bezel or shall I saw infinity display going on after the launch of xiaomi's Mi mix which had some amazing screen to body ratio & the LG G6 here deemed to have the same less bezel thing going on, it's confirmed that the G6 will have a 5.7 inch display, well there's no secondary display on here as I think that gimmick will be exclusive to the LG V series, which we have seen that on HTC U Ultra ! On their other hands there is an elegant looking chamfered metal edges, volume rocker on the right of the device & inserting if you look closely the edges inside that's the display are curved like the outer metal edges & this may also have a non-standard aspect ratio with all the latest & the greatest overkill flagship specs :) ! We can't wait for MWC 2017 where it will be launched on Feb 26th, we'll keep you posted as we learn more! Nice look. Latest PS 5 gaming console coming with attractive features. Click here for more info.